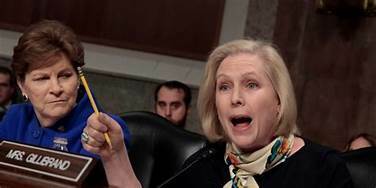 New York's Democratic Senator Kirsten Gillibrand, another leftist who is pursing her party's presidential, appeared at a Town Hall Meeting on Monday that was sponsored by the unabashed Trump-hating MSNBC. During her appearance she pushed gun-control and forcefully downplayed the threat of illegal immigration by saying it’s not a matter of national security. In fact, the Senator went as far as accusing President Trump of creating a “national security threat” by his actions at the U.S.-Mexican. She went as far as telling the attendees and the news media that there is no such thing as illegal immigration. 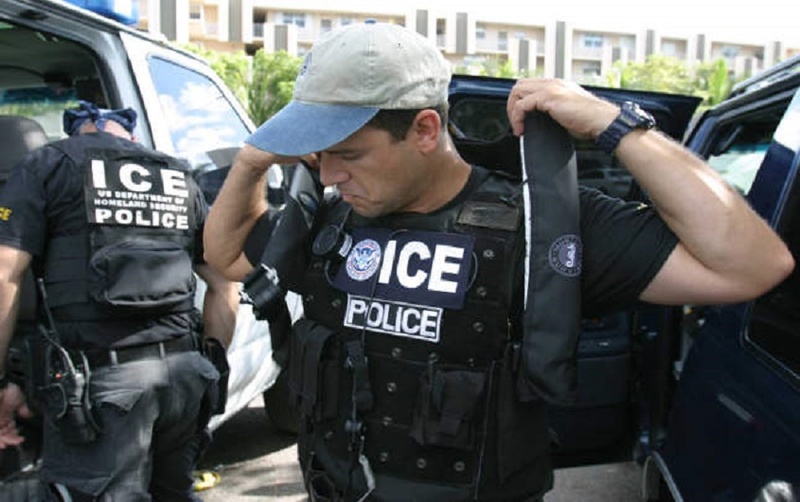 Yet, Illegal immigrants such as convicted Miguel Angel Cruz-Polanco, a confirmed MS-13 gang member and a citizen of El Salvador, was sentenced today to 137 months incarceration for his involvement in a cocaine trafficking operation, U.S. Attorney Bill Powell of the federal court in western Virginia. MS-13 or Mara Salvatrucha. “The sentence imposed by the court on Mr. Polanco concludes one chapter of a wide-ranging and significant drug and gun investigation in the Eastern Panhandle. Mr. Polanco was a member of the MS-13 gang whose members routinely engage in violence and other criminal activity, including the sale of drugs to finance their activities,” noted Powell on Tuesday..
“Mr. Polanco was also in this country illegally. We will continue to continue to aggressively prosecute all those who bring drugs and violence to our communities. This defendant, and all of the others who have been or who will be sentenced, could not have been brought to justice without the many months of hard work by our task force officers and prosecutors. We owe them a debt of thanks,” said Powell. Assistant U.S. Attorneys Shawn M. Adkins and Lara K. Omps-Botteicher prosecuted the case on behalf of the federal government. The U.S. Attorney’s Office of the Western District of Virginia assisted. The investigation was led by several federal agencies including the Drug Enforcement Administration (DEA), the Federal Bureau of Investigation (FBI), Homeland Security Investigations (HSI), the Bureau of Alcohol, Tobacco, Firearms and Explosives (ATF), the United States Marshals Service (USMS), the Eastern Panhandle Drug & Violent Crimes Task Force, a HIDTA-funded initiative, the Potomac Highlands Drug & Violent Crimes Task Force, the Northwest Virginia Regional Drug & Gang Task Force , the West Virginia State Police, the Virginia State Police, the Berkeley County Sheriff’s Office, the Jefferson County Sheriff’s Office, the Martinsburg Police Department, the Charles Town Police Department, and the Ranson Police Department. Other agencies assisting in the investigation are the Winchester City Police Department; and Frederick County, Virginia Sheriff’s Office; Pittsylvania County; Virginia Sheriff’s Office; and the Henry County, Virginia, Sheriff’s Office.